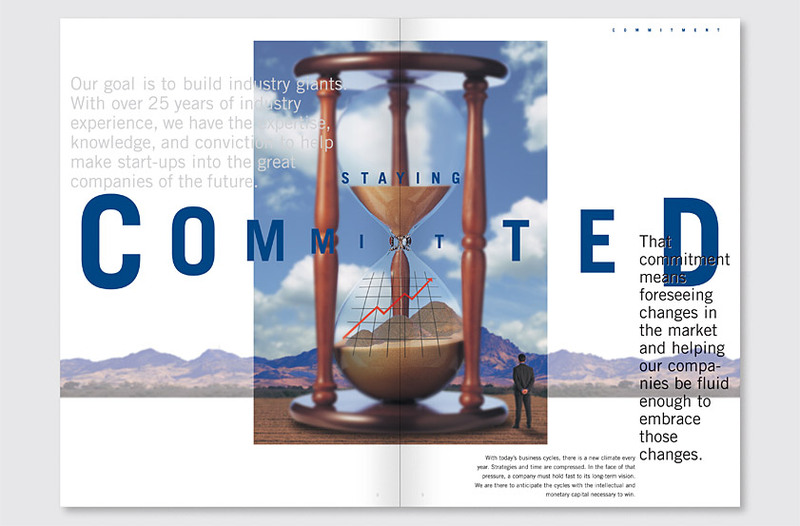 Our solution uses a future-oriented theme to position the firm as a focused, visionary, and committed partner for entrepreneurs. 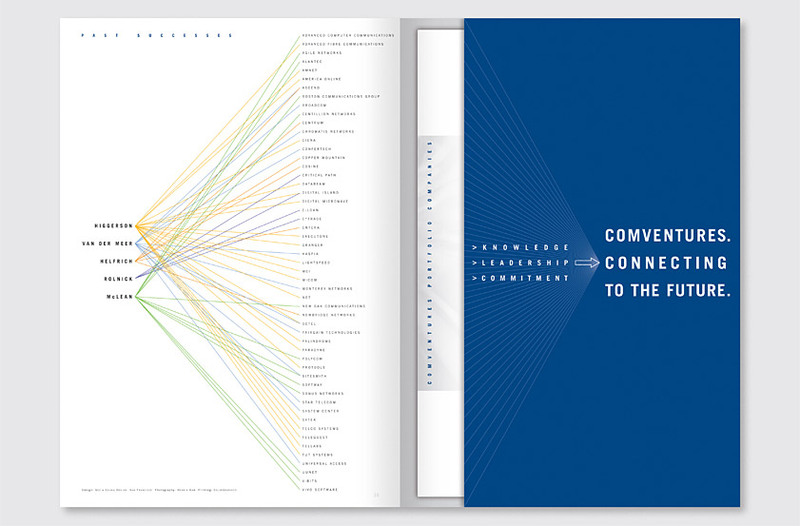 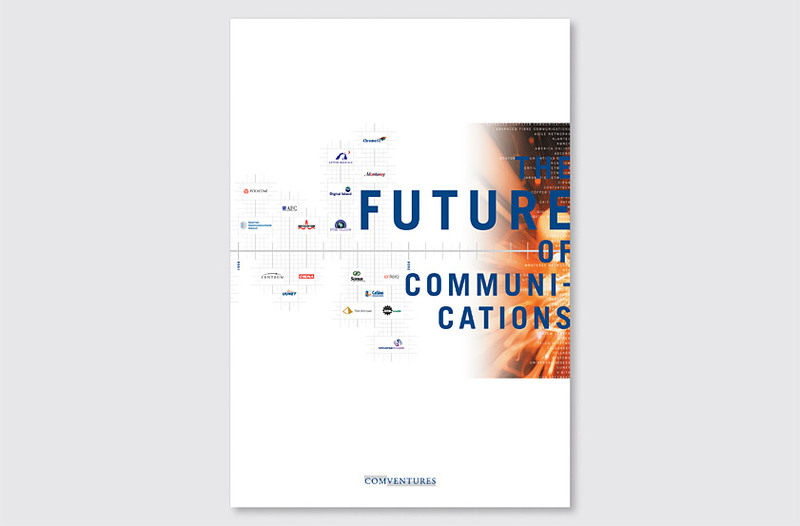 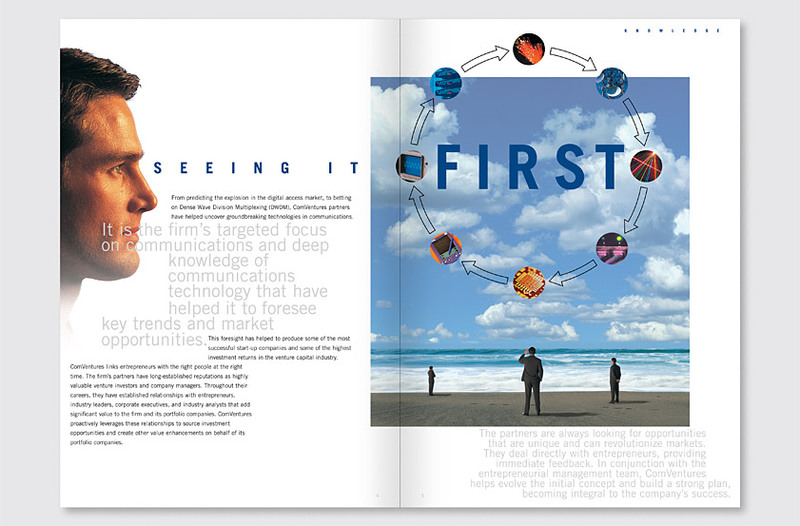 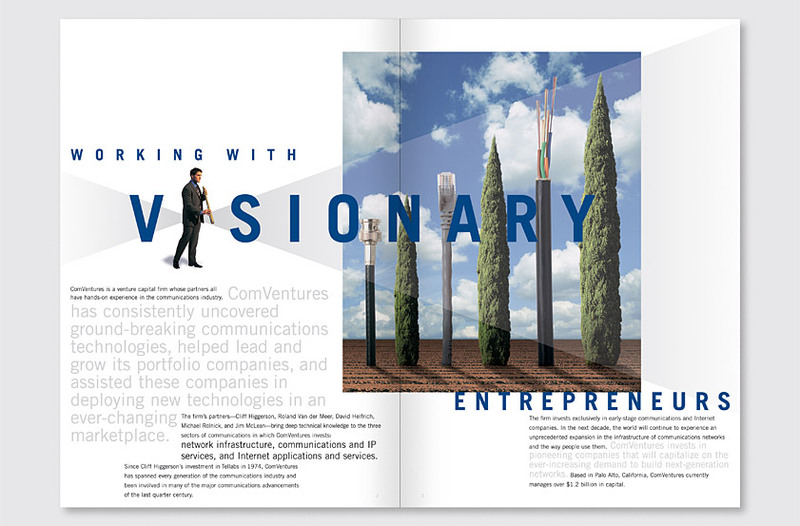 Each spread uses bold typography and a larger-than-life objects to create surrealistic technological landscapes, portraying the firm’s dynamic outlook for the future of communications and its commitment to investing in entrepreneurs with the type of innovative ideas that exceed expectations. 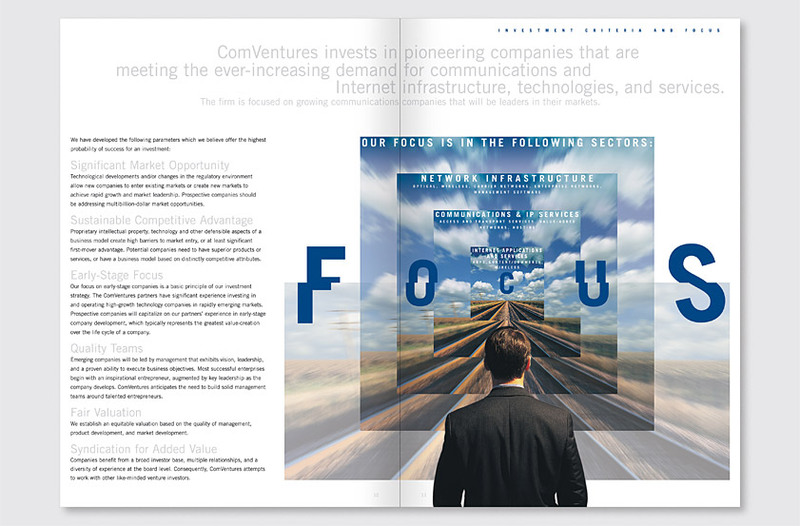 The approach was a radical departure for the highly conservative venture capital arena, and successful in positioning ComVentures as a leading-edge player within their industry and resonating with their audience of young entrepreneurs.